The Eawag headquarters – Forum Chriesbach – has set new standards in sustainable construction. The administration and research building, opened in 2006, has no conventional heating or cooling systems in the office areas, and its heating energy requirements are extremely low. A rooftop photovoltaic system and the purchase of naturemade star green power ensure that electricity generation and supplies are renewable and environmentally sound. On Eawag's Dübendorf campus, work on the conversion and extension of the 1986-vintage laboratory building building is continuing. The new "Aquatikum" offersmore space for researchers to realize large scale ecological projects. In 2016, Aquatikum was awarded with the 2016 MINERGIE-P-ECO Certificate. On the adjacent site, Eawag constructed an experimental pond facility. 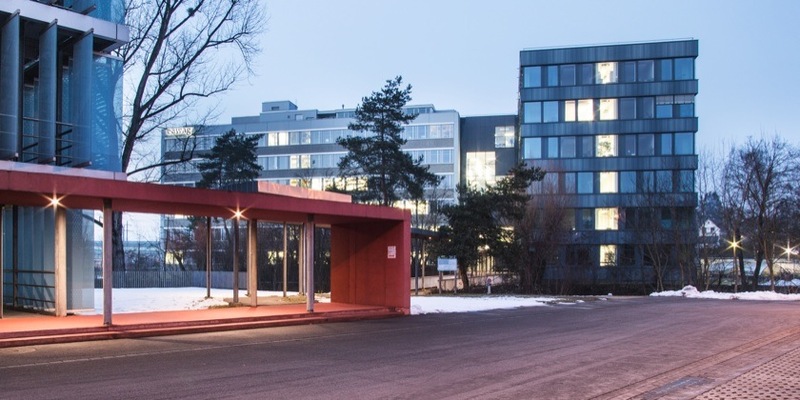 The recent renovation of the research facility at the Kastanienbaum site included measure to reduce the use of non-renewable forms of energy. In various stages, the building envelope was modernized and installations were renewed. The centrepiece is a new ventilation system comprising heat recovery and and cooling with lake water. Thanks to the renovation, use of heating oil was sharply reduced. In August 2014, Empa, ETH Zürich, EPF Lausanne and Eawaglaid the foundations for a modular experimental building known as NEST. A "backbone" will supply the independent living and work areas with water, heat and electricity. The modular units are exchangeable, allowing external firms and researchers from various disciplines to test building materials, energy management and infrastructure systems under real-life conditions. Eawag's contribution to the project involves a new wastewater infrastructure concept.